Stephanie Staples is a recovering burn-out nurse and a serial entrepreneur. She has founded three businesses (two successful - one a nightmare, you can't win them all!) and is the 2014 Manitoba Woman Entrepreneur of the Year Contribution to Community award winner. This award is especially meaningful to her as giving back to the community locally and globally is equally important as building a successful business. She is the author of two books, When Enlightening Strikes: Creating a Mindset of Uncommon Success and Your Life, Unlimited: A Guided Journal, and a regular expert columnist for both print and online periodicals. She has also produced two CD's (don't worry, she's not singing!) - "The Well-Nurse Initiative: Burnout Prevention that Works and Bring Your 'A' Game to Work & Life" and a mobile app called "Life Support for Nurses." Oh and did you know she is also a ... take a big breath it's a long title ... "Specialized psycho-social employee-wellness & workplace-health services consultant" for Health Canada, yeah, she's not quite sure what that is either?! Her kids just think she's "psycho," period. As a consultant, Stephanie works with hospitals, working with everyone from front line staff to physicians to the CEO's, to help them grow themselves strong and serve their patients and colleagues with excellence. In 2013 Stephanie was awarded the highest earned designation in the speaking industry, Certified Speaking Professional (CSP), conferred by the National Speakers Association. The CSP is the speaking profession's international measure of professional platform competence. The CSP designation helps meeting professionals looking to hire the best of the best, those with a commitment to the profession, top-notch speaking ability and a track record of professionalism and success. Only the top 10 percent of speakers earn this credential and are recognized as some of the best in their fields. In 2013 she received the Spirit of CAPS Mb. award for demonstrating the spirit of sharing, leading and inspiring others and possessing the qualities of generosity, spirit, professionalism and reflected outstanding credit, respect, honor and admiration in her Chapter and community. 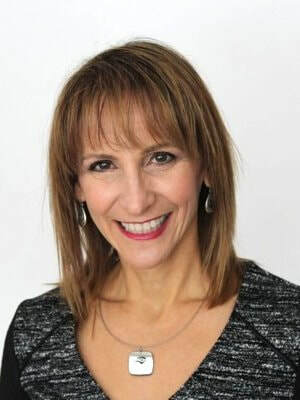 For over 8 years Stephanie has produced and hosted her own weekly broadcast radio show on Corus Entertainment called Your Life, Unlimited where she shares cutting edge success principles, interviews experts and helps her listeners become happier and healthier. She is featured in print globally sharing her unique take on success and her message that redefines the typical approach to wellness. You can read about her in Redbook, Good Housekeeping (much to her mother's shock) and she has been interviewed for the O magazine twice. Impressed? Don't be - the articles are on the cutting room floor. Oh well, maybe next time! She is also featured weekly on the small screen! Adding to her list of 'things' she does, Steph is also professional MC (Emcee/Master of Ceremonies) and is the host/producer of momondays Winnipeg (Motivational Mondays) a super-fun and uplifting evening where real people get to tell real stories that help inspire others to make the world a better place. Her present career is influenced by her eclectic background of nursing, fitness, business and communications and her passion for personal growth. Stephanie will forever be an advocate and member of Toastmasters International. She received Toastmaster's highest honor, Distinguished Toastmaster (DTM), in February of 2013. This elite award is earned by showing dedicated service and leadership over multiple years. Whether writing, conducting motivational seminars, keynote speaking, on radio or on TV, she infuses humor and heart with practical, relevant and do-able content to activate everyone to leave with tools they can use immediately to improve the course of their lives, personally and professionally. Laughing, crying and regular 'aha' moments are all part of the package-no extra charge! Stephanie would like to bring her VIP (Vitality Inspiration Positivity) Tour to you. To read more about this program, click here. Bring Your "A" Game to Work & Life! If you have ever been tired, overwhelmed, stressed and it's not even lunch time yet, you will need to hear this presentation. Stephanie has burnt out and bounced back and she knows firsthand that we can only do good if we feel good and we can only feel good if we are willing to look at our lives beyond our work. Journey on this high energy, no holds barred presentation as Steph peels the layers back and exposes not only what you need to do to achieve uncommon success in your life and livelihood but how to do it! Sometimes you have to get lost in order to find your way. Explore the options, expand your thinking and let creativity take you on a journey where the W.I.N. could be more important than you ever imagined. Hold on tight while master motivator Stephanie Staples leads this fast-paced, interactive and idea-packed session that will have you laughing, thinking and inspired to take immediate action to positively impact your life and livelihood. Do you have any relationships you would like to improve personally or collegially? You will find answers, insight and inspiration in this session if you want to make the world a better place and get concrete ideas to grow yourself personally and professionally. Learn how to take relationships, personal growth and gratitude to the next level in this is uplifting, fun and game-changing program. You may never be the same. Are you tired of the status quo? Have you been searching for inspiration, innovation and insights but don't know where to find them? Put the idea bank to work for you and hold on to your chair for a mind shift than can help you make the next 12 months the most happy, healthy and pro-active of your life.